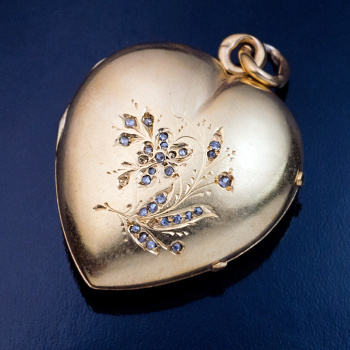 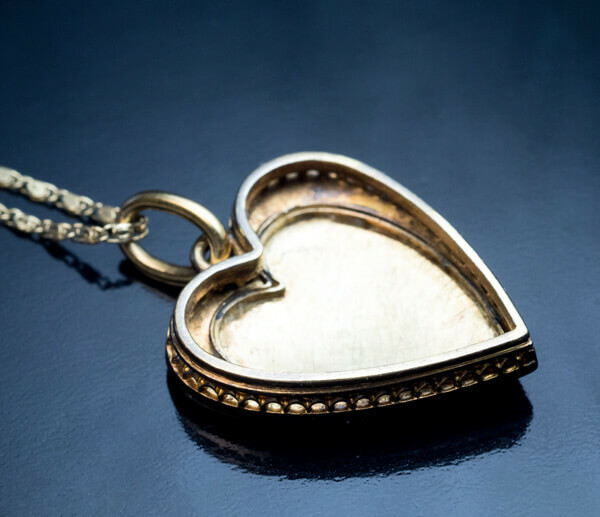 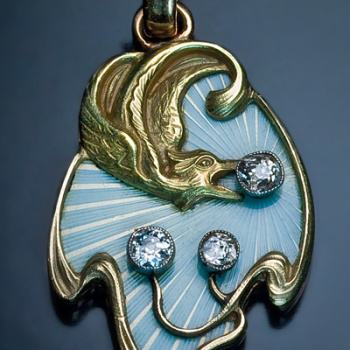 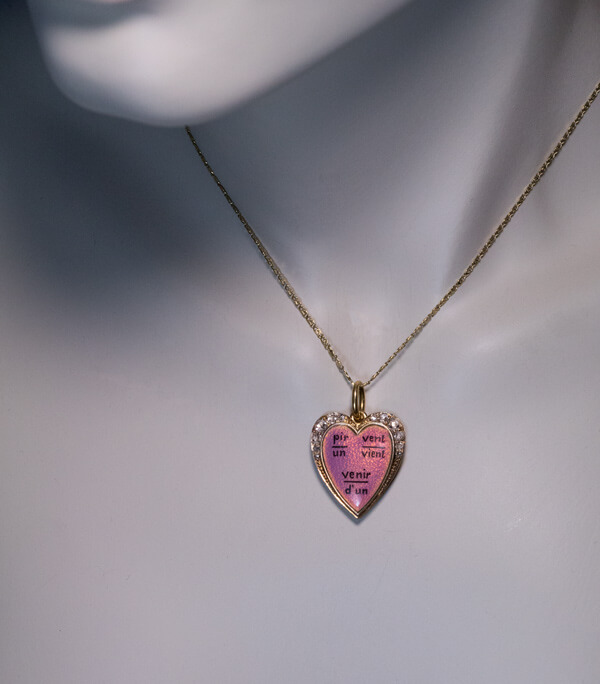 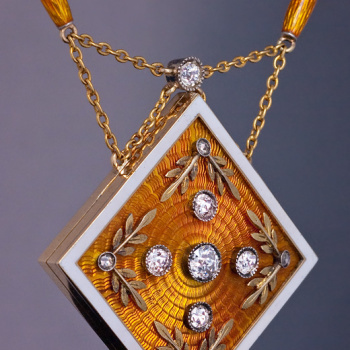 A Belle Epoque 18K gold heart shaped pendant necklace is embellished with very fine translucent lilac-pink enamel over textured background, and sparkling old rose cut diamonds. 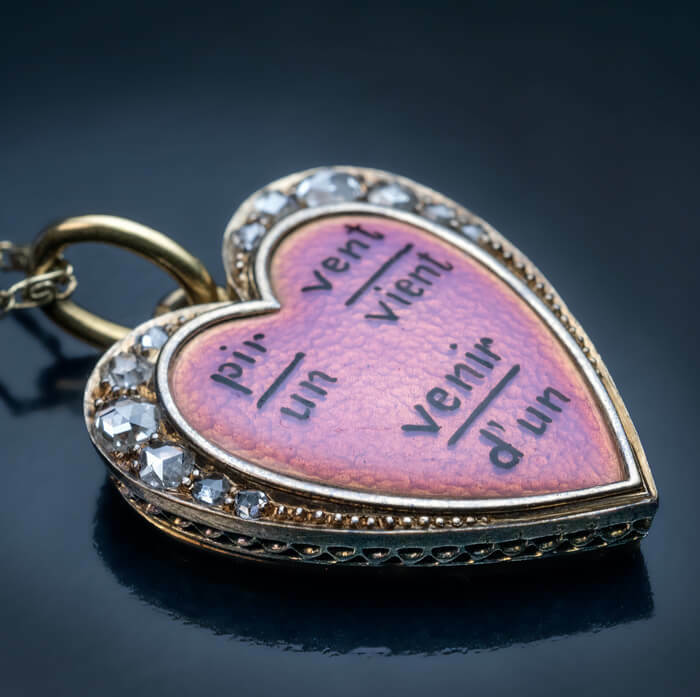 The black inscription in French is a rebus that may be solved the following way: instead of the three bars, ‘sous’ (‘below’ in English) is added – “un sous pir vient sous vent d’un sous venir,” what corresponds to “un soupir vient souvent d’un souvenir” (“a memory often comes with a sigh” in English). 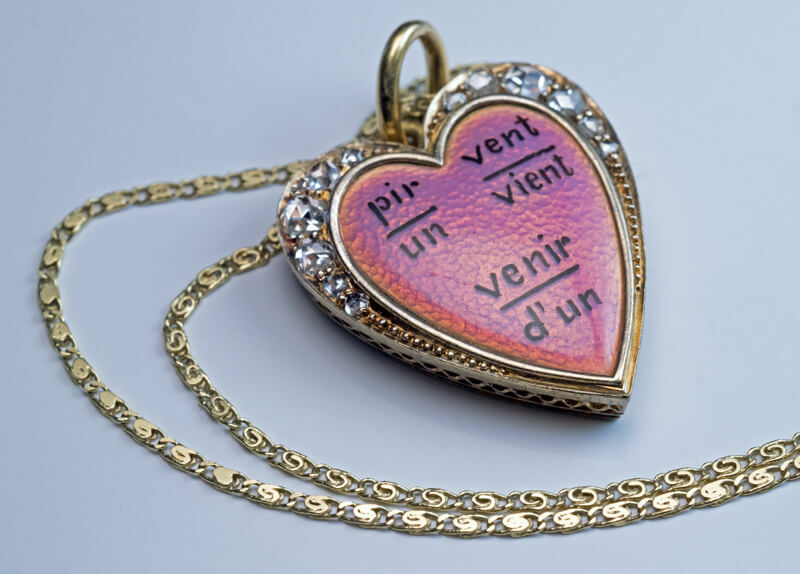 The words are placed to resemble a face. 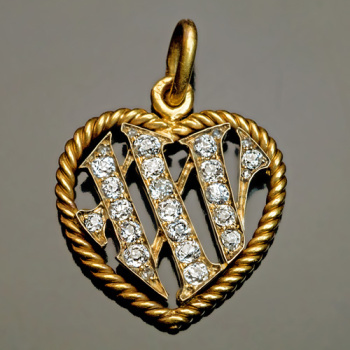 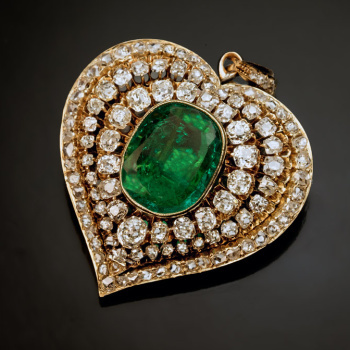 The pendant is marked on the smaller ring with French weevil-shaped gold import mark, the chain – with a later Russian control mark for 750 gold standard (18K).